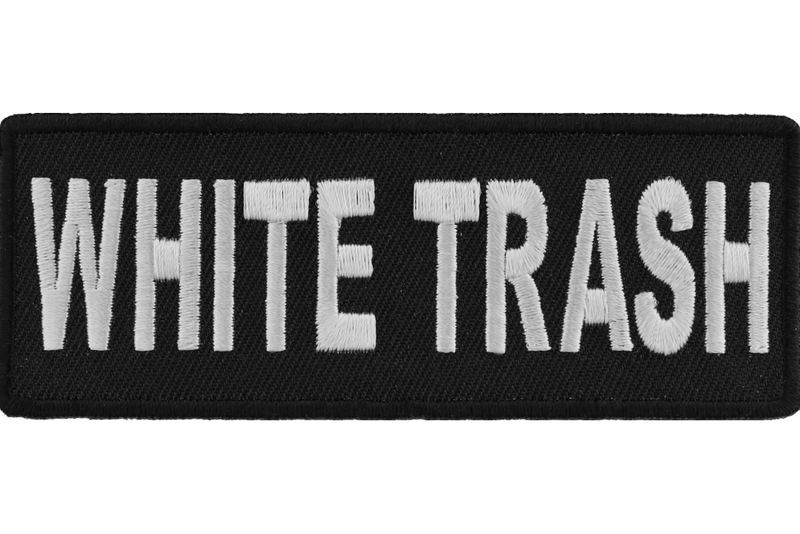 White Trash Iron On Patch measures 4x1.5 inches and is embroidered in Black / White. 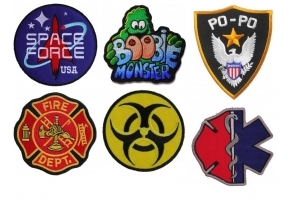 The Patch can be sewn on to leather jackets, vests or ironed on to clothing. 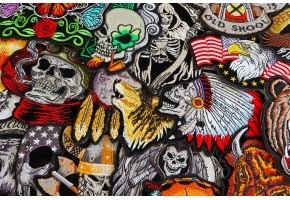 We recommend sewing on your patches, regular household iron will not adhere them properly. 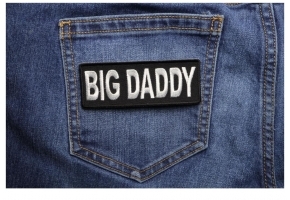 You can Heat Press the Patch for permanent bonding. We recommend 280 Fahrenheit for 15 seconds. 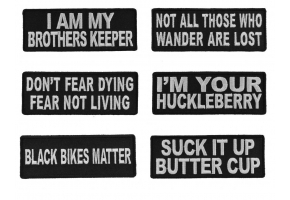 Do not iron on patches to Leather or Nylon material you will end up scorching your fabric. 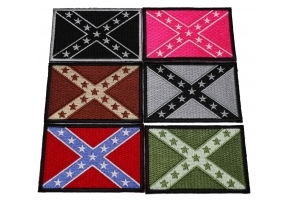 The embroidered die cut borders makes it easy for you to sew the patch on. 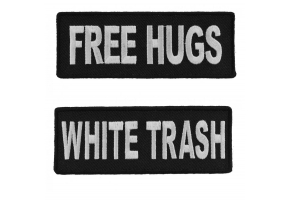 Keep in mind we do wholesale these patches. 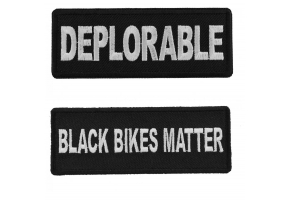 We also do make custom patches given you are ready to have at least 20 pieces made.